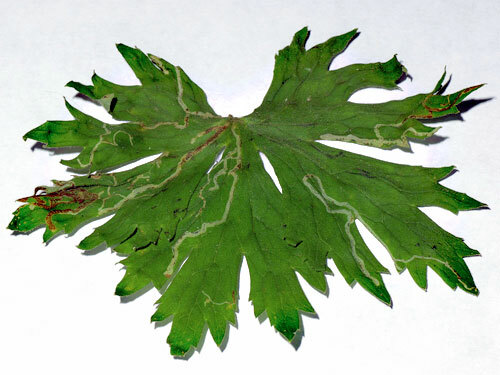 unknown agromyzid on Geranium spec. the mine is upppe-surface, and the frass pattern indicates an agromyzid. All mines are vacated, which means that the larvae have been able to complete their development; this seems to exclude xenophagy. 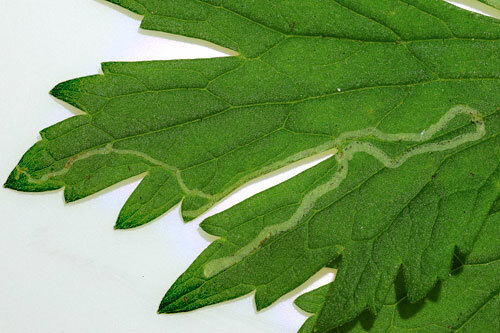 Without a larva a more precise identification is not possible.